This is such a great idea Use photo frames for the numbers and buy the hand sets at Micheals or Hobby Lobby. Turns a boring wall into creative functional art. 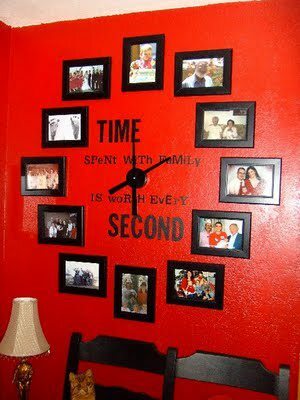 This entry was posted in Home, Car, Yard, and Pets, ~Decorating and tagged clock, dial, hands, hobby, lobby.clock, micheals, photo, photogaph, wall. Bookmark the permalink.